Oh man! 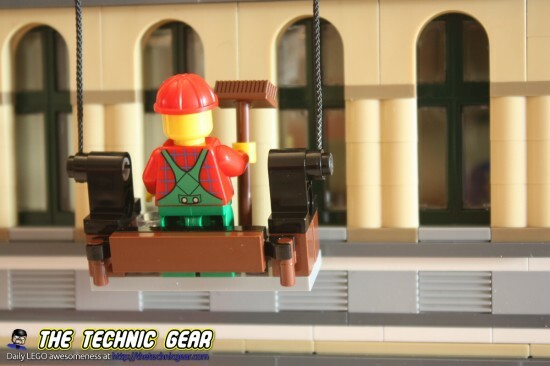 These modulars are the Mobile Crane of LEGO Creator; they have lots of parts, they are expensive, but they are so damn fun to build… Today I review for you the 10211 Grand Emporium, that it is part of the LEGO Creator Expert range of sets. If you recall, I recently reviews the Pets Shop. But enough chit chat, let’s review it. 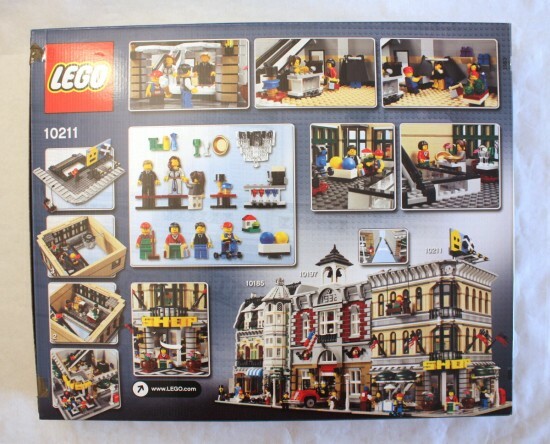 Where can I buy LEGO 10211? 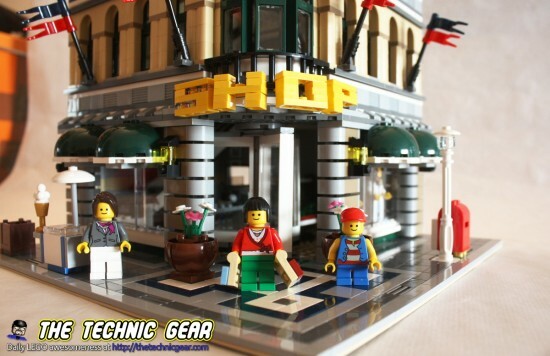 The LEGO® Modular Buildings series continues with this spectacularly detailed 3-story department store, designed in a realistic scale with lots of special building techniques and rare pieces. On the street outside, citizens carry shopping bags, send letters at the mailbox, admire the window mannequins, then cool off at the ice cream stand while a busy window washer works above. Enter through the revolving doors to discover a ground-floor clothing department, complete with a cash register, fitting room, hats, jewelry, perfume, and even a selection of spare trousers. 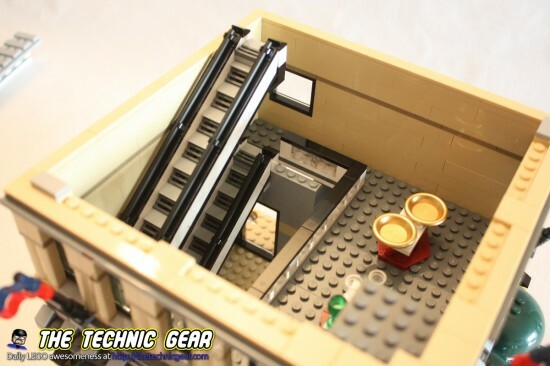 A brick-built escalator carries customers to the second floor housewares department with glassware and golden plates for special occasions, and then it’s up to the top floor for the toy department (complete with toy house and push-scooter) with an impressive chandelier above the open atrium. Up on the roof are a billboard and skylight! … and all the model details on the back. Here you have the unboxing video. Again, to my astonishment this model comes with only two manuals, and pretty much as with the Pet Shop, the manual is complex. Really, when this is tagged as Expert, they were not kidding about it. I personally find this way of building more interesting because it gives you more room to build on your own, even if you are just following the rules. On the other hand, it means that from time to time you need to go back because of something you missed. 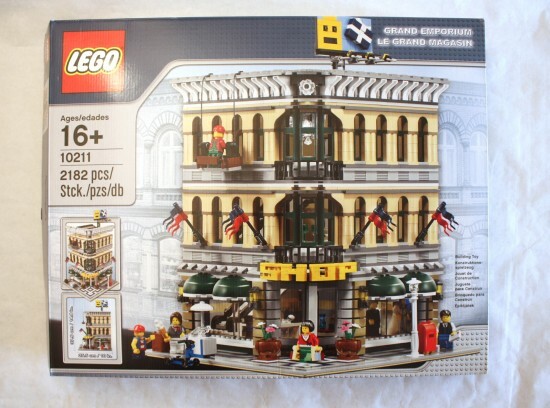 As with the Pet Shop, this set is really a pleasure to build. 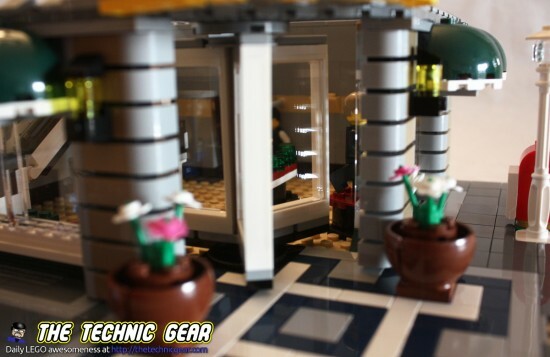 It has some interesting techniques that worth mention like the escalator, the four columns around the building first floor, the round corner, the revolving door, and the awesome chandelier of the top floor. Also the billboard on the roof looks quite impressive. Here you have the mandatory ( and very fast ) timelapse building. 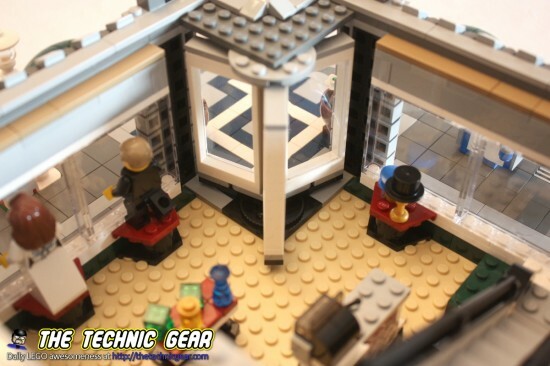 The revolving door is something quite interesting… not that it is stunning on itself but I like the way it is placed in the construction. The on the other side of the building you have the shop front with two models: one bride and a well dress gentleman. Inside the shop you have lots of details like a cash machine with several jewels inside a crystal case, a table next to it with bottles of parfum or whisky… no, it is parfum. 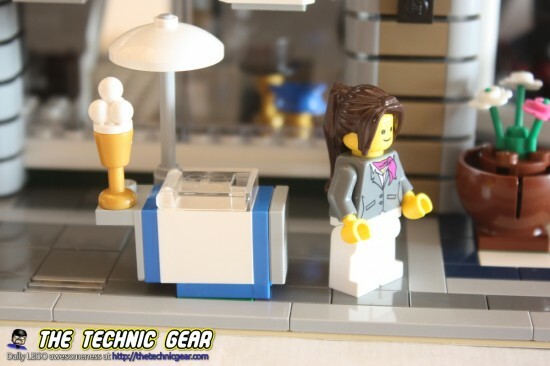 And perhaps the funniest detail I have seen on a LEGO model yet. 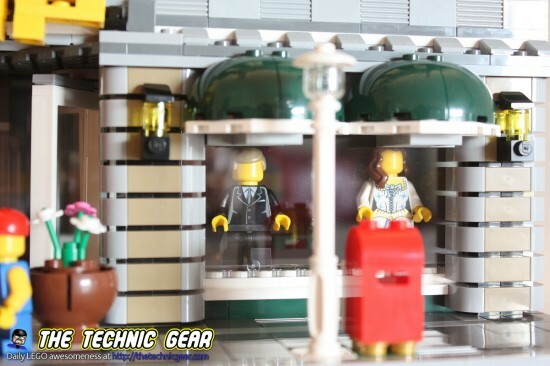 A small locker room created with two cloacks much like the one used with minifigs. 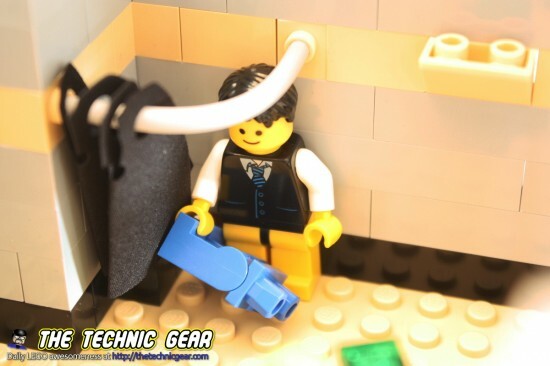 Now you know where the LEGO Movie Where are my trousers serie started!. 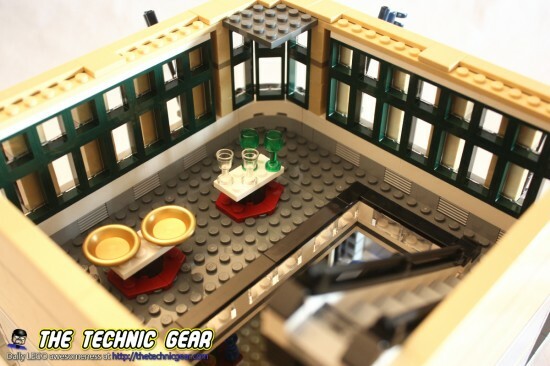 This floor contains two stands with plates and glassware, as well as staircase to go the the level above. 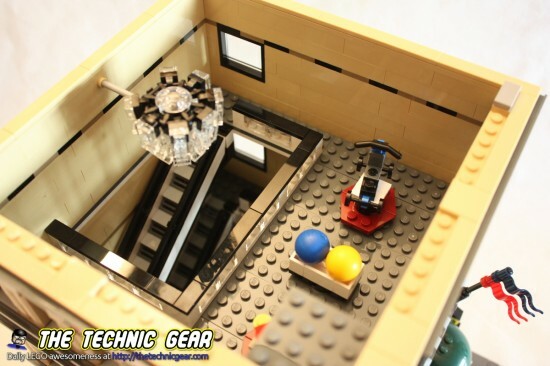 I really love the windows and the way of using the LEGO crystal bricks to build the banister. Lots of details on this floor but I particularly love the windows cleaner. It is such a clever way of building it. 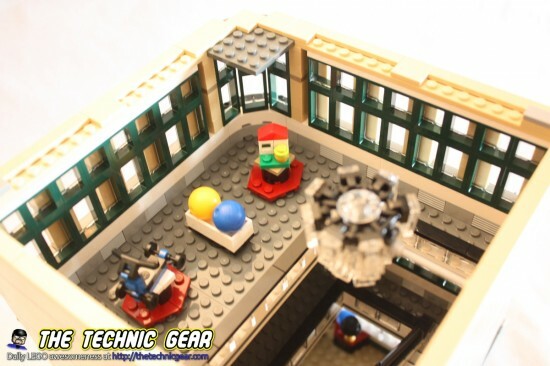 Inside the building you have a toy store and a wonderful lamp made of LEGO crystals. They have a small scooter that it is pretty fragile, two color balls and a small toy house. I really love the way the windows looks but the inside looks too empty if you compare it with the Pet Shop houses. 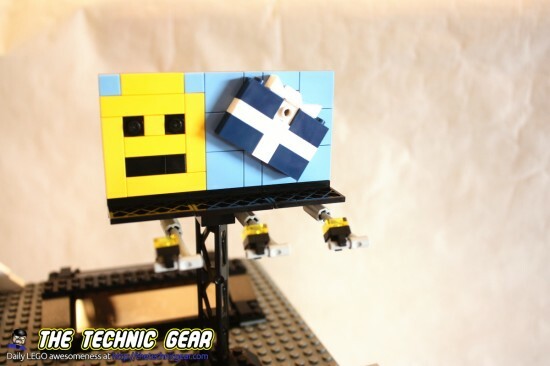 It is a pretty simple roof, as most of the details are done on the floor below but this has a lovely billboard with a LEGO face ( very nicely done ) and a present box. I am really amazed of what you can obtain with a few plates correctly placed. Also you have a big window that creates a good natural light for the building. It is really impressive the effect they get with the arches over the border of the roof. I really liked it. A great nice model. It isn’t as cool as the pet shop but it is visually more espectacular. – Five guaranteed hours of fun. 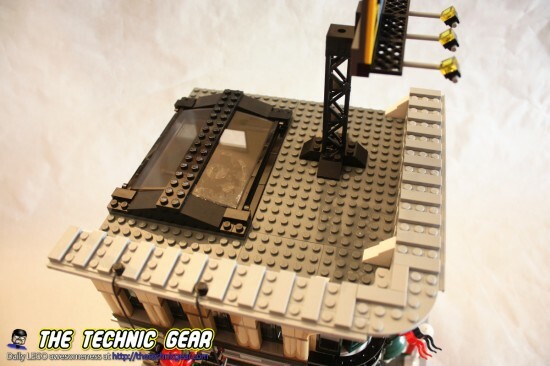 Does LEGO 10211 worth the money? Yes it does. 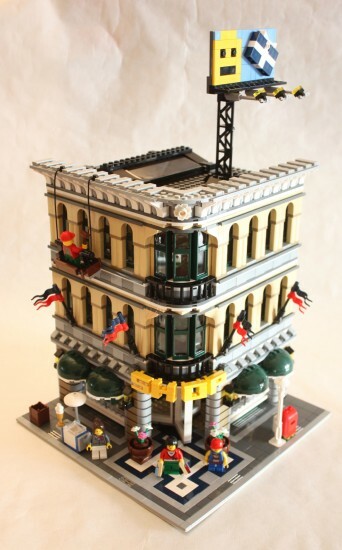 As with most of the big LEGO sets, it is expensive but it is quite rewarding to build. I would definitively look for it at Amazon.